The first stars in the universe formed about 400 million years after the Big Bang (estimated at 13.8 billion years ago). Inside of these stellar furnaces, nuclear processes fused the hydrogen and helium made by the primordial nucleosynthesis into heavier elements. Verification of the existence of these stars is important to understanding the evolution of the universe. Astronomers have been searching for years for long-lived, low-mass stars with the unique nucleosynthetic pattern matching predicted yields. The artists image above shows the Methuselah of stars formed shortly after the big bang — which has existed in our Solar System’s neighborhood for at least 13.2 billion years. The star, dubbed HD 140283, the oldest known in the universe, lies 186 light years from our Solar System and has been studied by astronomers for more than a century. 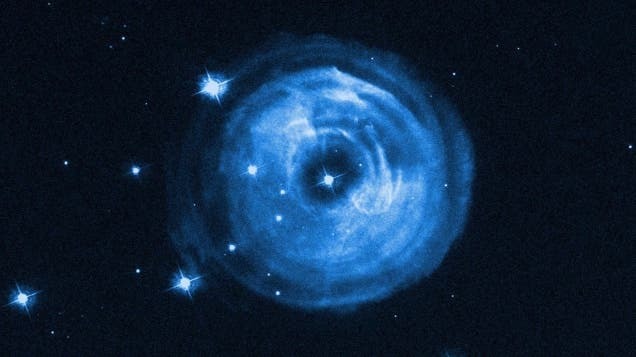 The object consists almost entirely of hydrogen and helium, a signature of having formed early in the history of the universe, before successive generations of stars had a chance to forge heavier elements. Determining the chemical abundance pattern left by the earliest stars in the universe is no easy feat. A Lawrence Livermore National Laboratory (LLNL) scientist is helping to do just that. An international team led by Brian Bucher of LLNL has made an important contribution to the ability to predict the unique chemical signature left by these early stars with the first direct measurement under stellar conditions of an important nuclear reaction. “It is vital to our understanding of the properties of the first stars and the formation of the first galaxies to verify the predicted composition of stellar ashes by comparing them to observational data,” Bucher said. In order to accurately determine the abundance signature of these early stars, proper modeling of the stars and their nuclear reactions is needed. 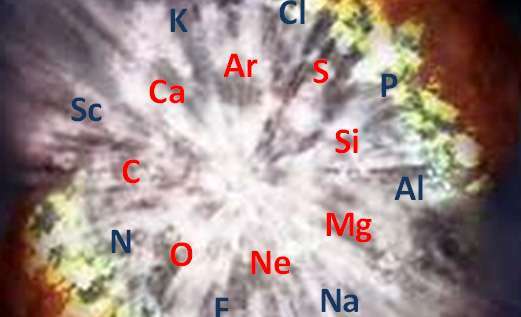 One reaction that largely influences some key properties of the abundance pattern is the fusion of two carbon nuclei into a magnesium nucleus and one neutron. However, the measurement of stellar reaction rates in the laboratory is difficult because the likelihood of making a successful reaction is quite rare. In this research, the scientists made a successful measurement of this carbon fusion reaction at stellar energies using a laboratory accelerator. Other institutions involved in the research include the University of Notre Dame, the Chinese Academy of Science, Monash University, Shanghai Jiao-Tong University, University of Minnesota, China Institute of Atomic Energy, Konkoly Observatory, University of Basel and University of California, Santa Cruz. Weekend 'Galaxy' Insight: "Our Strange Universe"